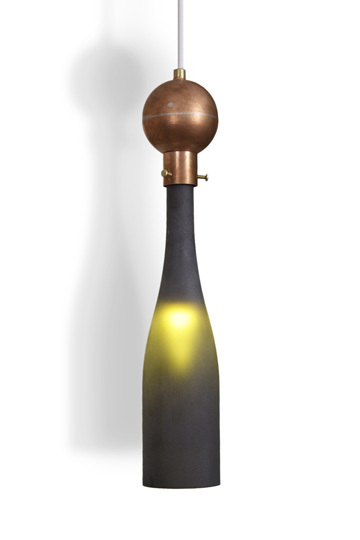 Each light fixture is personally made by the artist himself in his studio in Red Hook, Brooklyn, New York. 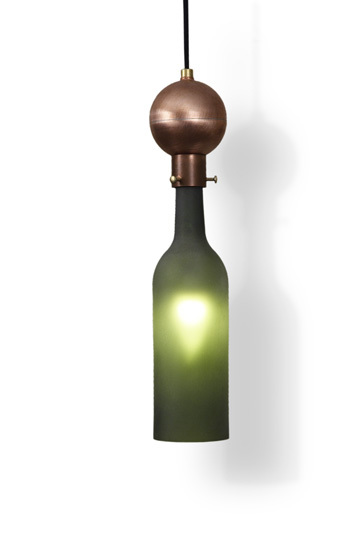 Made of recycled wine bottles that are sandblasted to achieve the satin finish and plumbing parts assembled to create the body of the fixture. 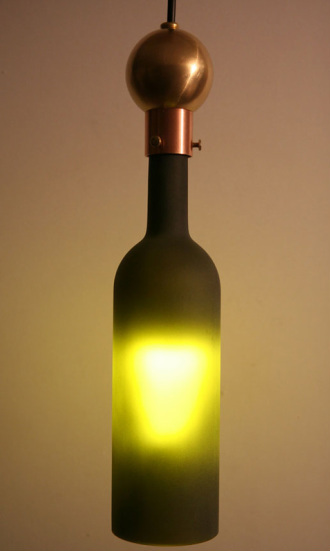 These lamps are illuminated by energy saving, eco-friendly and cool to the touch LED lightbulbs (included). These pendants come ready to install. All electrical components are UL approved. 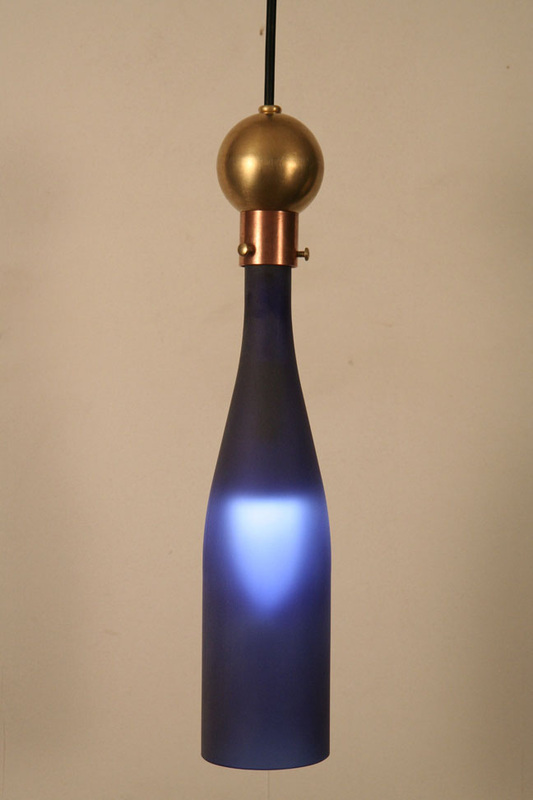 These pendants can be ordered with the metal components made of all copper or copper and brass and are available in either unfinished or polished finish. They can be either wired for track light or for hard wired installation. All hardwire pendant fixtures come with 50" of cord, canopy and hardware needed to install into a ceiling fixture electical box. All track light pendants come with 50" of cord and track adapter that is compatible with Halo, Hampton Bay or Lightolier* track. Cord and hardware color options are white or black. Lead time is usually one to three weeks. PRICES: All Pendants are $250. and $20. shipping *For Lightolier track adapter please add $20.